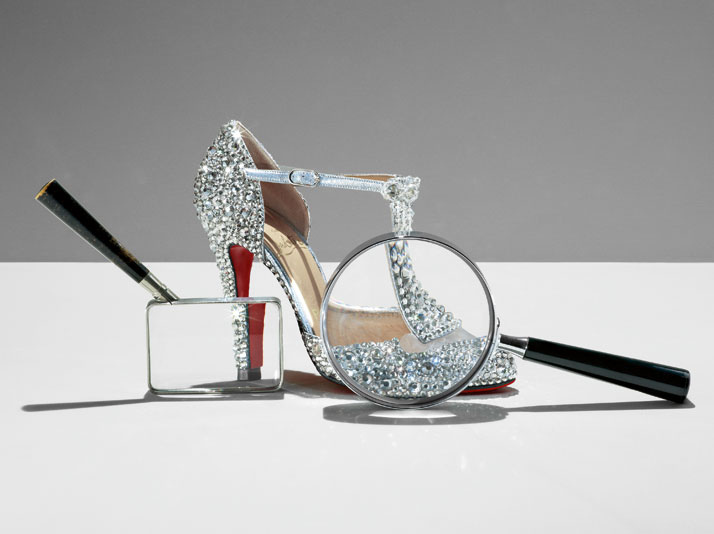 Sky High Scavenger Hunt, Mission: Louboutins. The clock is ticking, only a couple of minutes to go for you to find the five clues that will lead you to the red soles. That will be the case for many of Zayed University Abu Dhabi students, once Rabbit Hole’s event will take place in their campus (which is quite sooner than expected). The scavenger hunt team will be giving out clues as to where you might find one of these fashionable pieces for your growing closet. The Game will be adding Rabbit Hole touches to it, making it our very own. 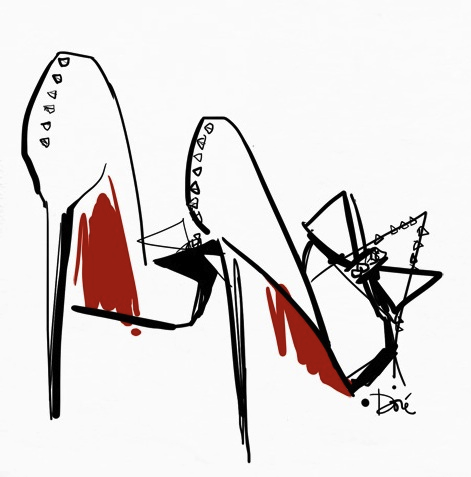 The contestants will be on a mission to find the Louboutins that will be hidden somewhere around campus. The first contestant that finds it and gets it back to the organizers, GETS the pair of Louboutins for herself. Are you dying to know what pair will be hidden? 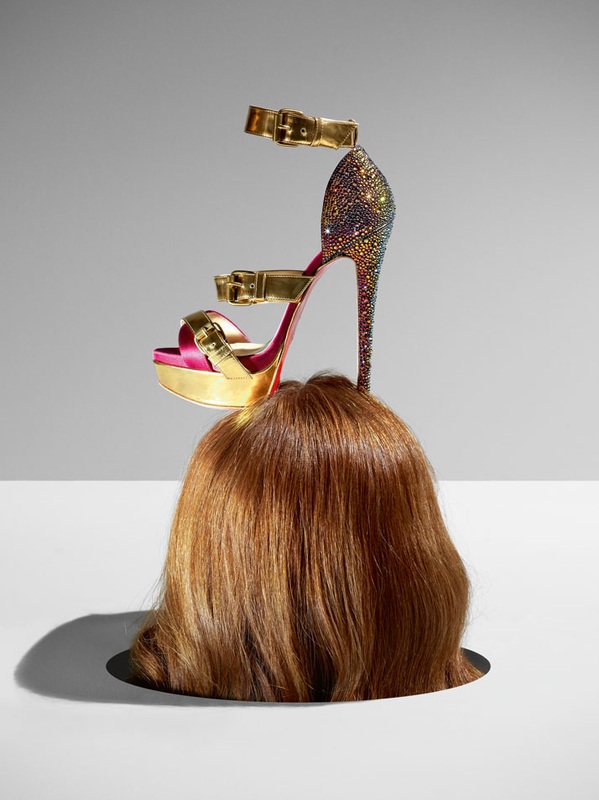 I don’t think I’m allowed to tell you, since the fashion team will be paying the Louboutins store a visit soon. What they’ve asked me to do is to ask you, what pair of Louboutins are you expecting? Since I shared this with you, I might as well give you a hint of where the pair of red soles will be … Somewhere around Zayed University Abu Dhabi Campus. That’s all I can say for now. Are you excited and ready for this mission? It’s something that definitely should not be missed. Many might have wondered who are those whom wander around, hopping backstage, the reason behind the event, media coverage and noise… Well, most of you might have wondered who are behind the Rabbit Hole, who is the team that is working on making all this happen. Due to lots of demands and many wanting to know, today we decided to share this with you, for you to find out more about the team behind it all. 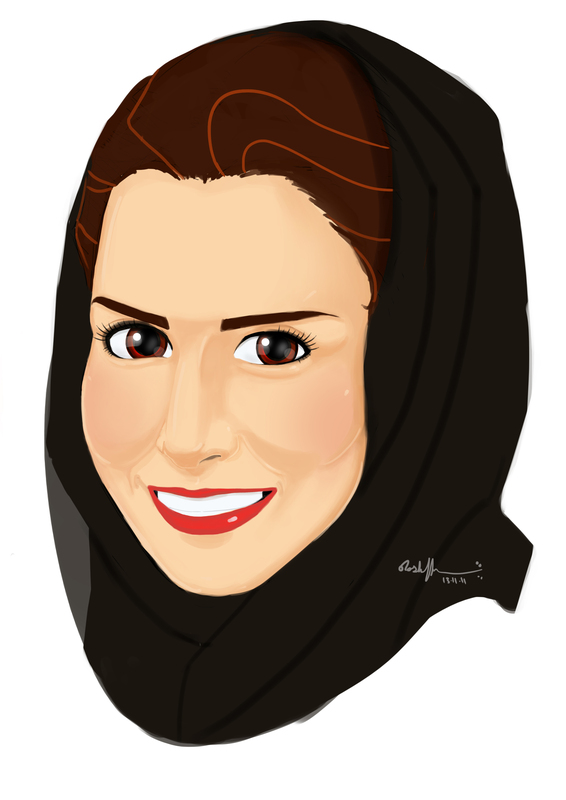 Maitha Al Maktoum (Mama Rabbit): The founder of Rabbit Hole, she is the one behind it all. She knew something had to change in the fashion world, focusing on what the talent from the region has to offer, and putting the spotlight on the next set of designers and entrepreneurs. Her idea started developing and she needed a team of “Rabbits”, that’s when she started searching, selecting the ones she knew had lots to offer and put into the Rabbit Hole. Without Maitha, none of this would have happened, she is the main reason the whole team brains work to its’ fullest, bringing out the best ideas to put into the Rabbit Hole events, from the smallest event to the biggest! 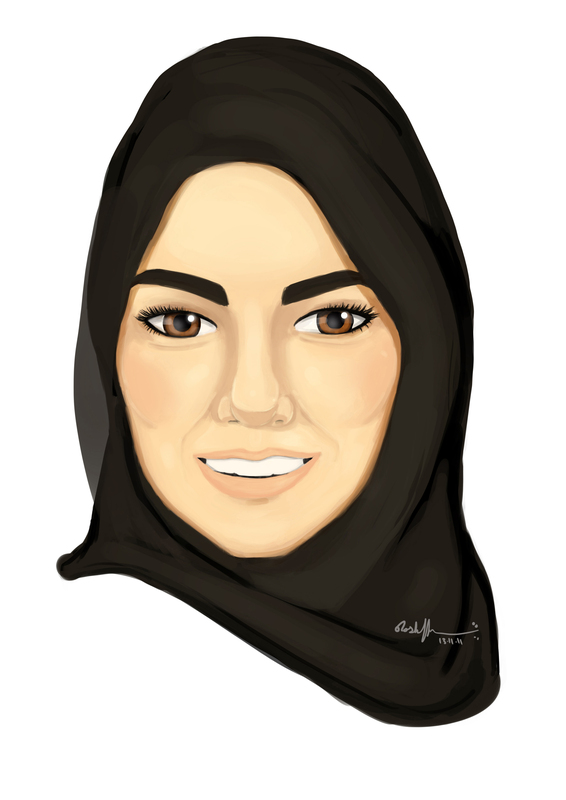 Hessa Al Amri (Mysterious Rabbit): The first member to be on the team, she is mainly like the Executive Manager of The Rabbit Hole. Calm, friendly, and a team player, Hessa knows how to make the team work! With her skills, she makes sure everything is running smoothly and is on time, cooperation is one of the main things that she likes doing, in order to achieve the ultimate goal; she proved that to us during our last event (The Rabbit Hole Event: Zayed University Edition), where she did an extraordinarily wonderful job. Maitha Belhab (Diva Rabbit): Our very own fashion icon. Maitha Belhab takes the part in selecting what’s in (fashion-wise) in this event and what’s out. She makes sure we select the best, and searches for upcoming brands to make sure we choose the ones that deserve to be recognized. 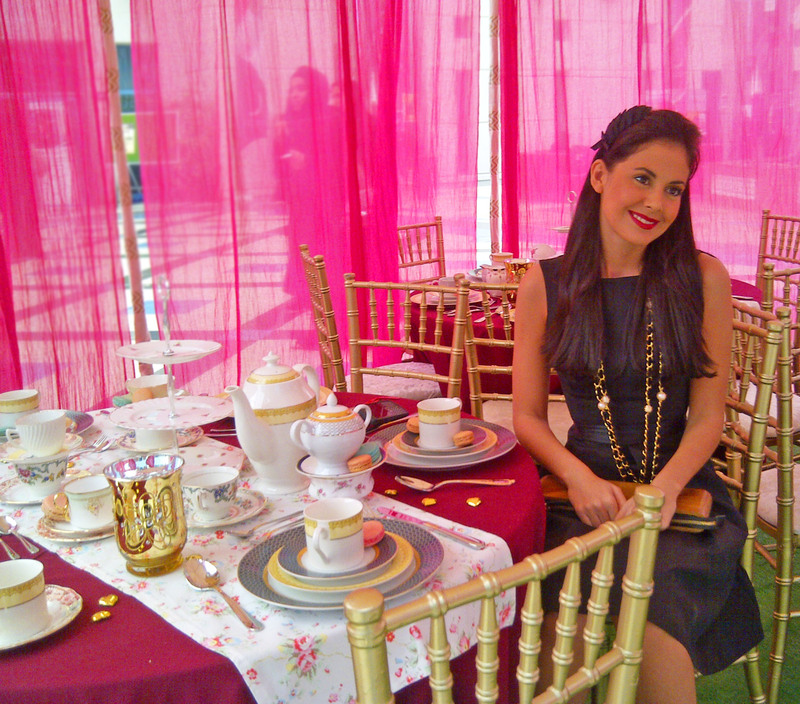 With her talent in fashion, she also is the one that plans the interior of our events. Something you need to know about her, she is one of the founders of @FourCollections. Nour Al Harmoodi (Dreamy Rabbit): Her vast passion for directing and photography has brought her to be very useful for the team. She is the one that mainly covers all Rabbit Hole events, from taking videos, interviewing guests & visitors, and snapping pictures to forever remain as a record of our accomplishment! As “dreamy” as she can get, Nour also plays the role of making the team think realistically, yet maintain the whole different feel of what’s real. 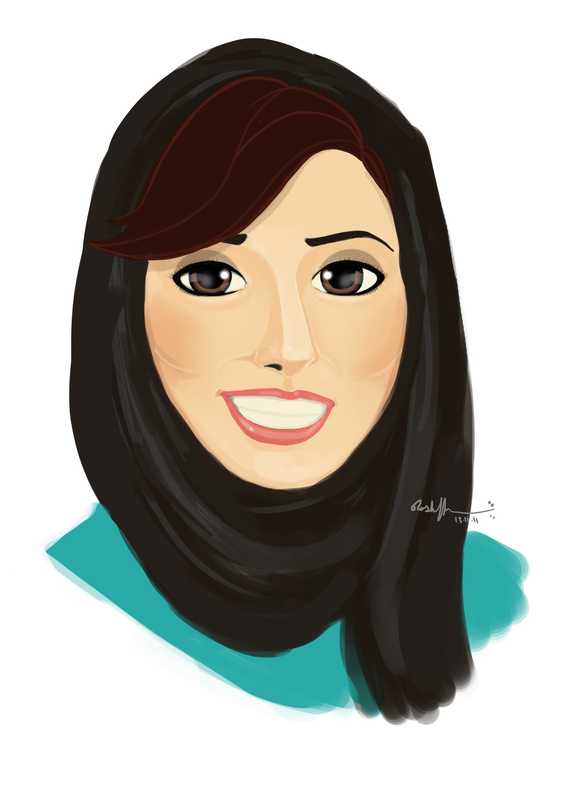 Ayesha Al Hamrani (Artistic Rabbit): Without her we’d be drawing with crayons, literally! 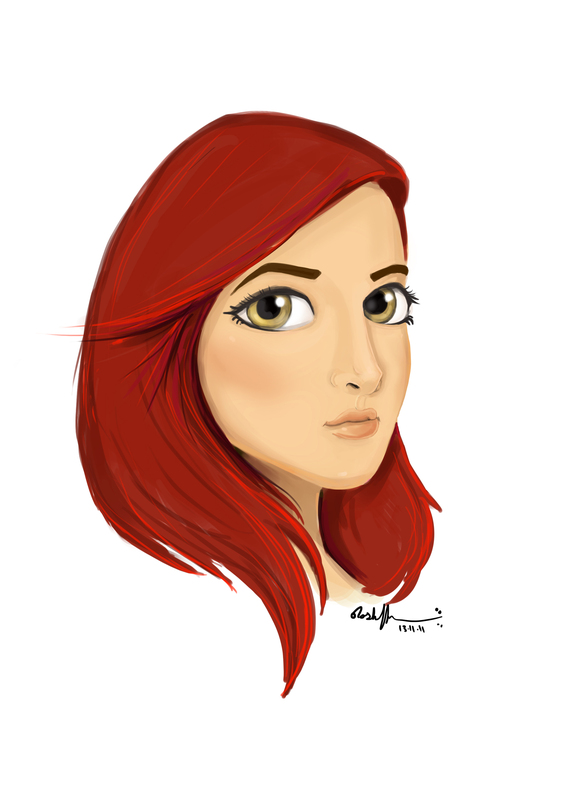 Ayesha is the one behind all the graphic designs, flyers, banners, and advertisements of the Rabbit Hole. Without Ayesha, we’d all be lost trying to make a SINGLE banner which would take us a year! She is very cooprative and would handle us changing the designs, we don’t get that often since all her designs are just eye catching! Maryam Al Mansoori (Baby Rabbit): The youngest member of the Rabbit Hole family. Even though she is the youngest, she still has a lot to put in. Her main effort is put in finding sponsors, talking to companies and marketing Rabbit Hole. Maryam has proved to the team that just because she is the youngest, it doesn’t mean she can’t do it; a very hard-working member. Not to mention, she always manages making the team laugh. 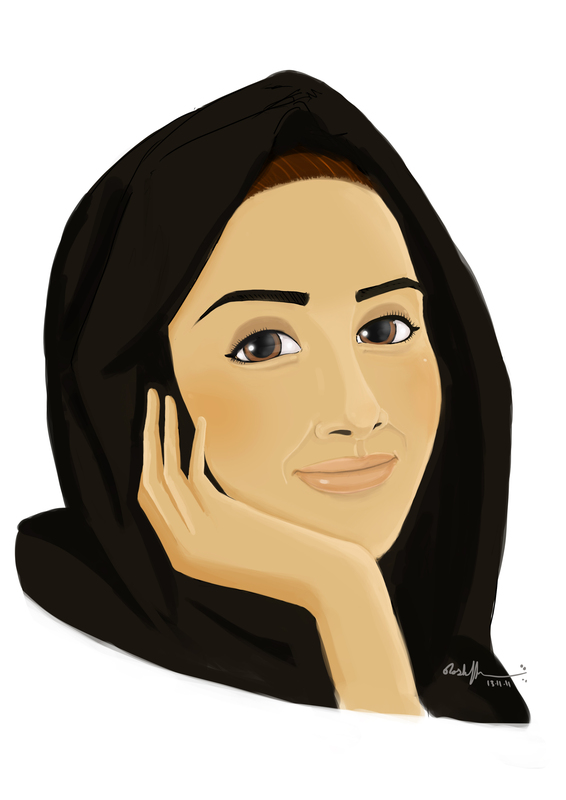 Mashaikh Al Rakhaimi (Goofy Rabbit): The calm one, who is there smiling and easy to talk to. Well, you can say looks are deceiving, Mashaikh maintains the pace of the work that is going on and helps her fellow member Sara in media and public relations. She also has the role of pushing the team to finish faster, since she usually does a countdown. 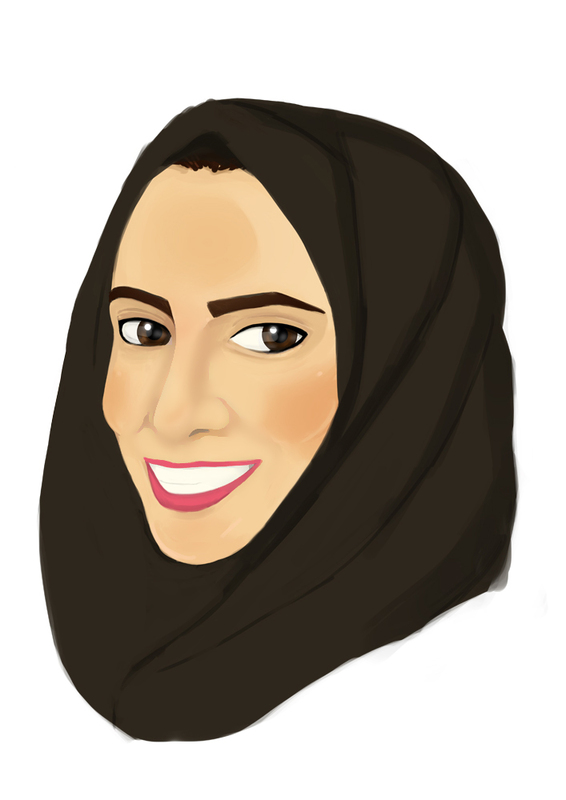 Sara Al Madani (Social Rabbit): Media, companies, and public relations, all go through Sara. She is in charge of Rabbit Hole’s media coverage and exposure. Some of the things that you might see in Sara’s tasks: Talk to ” list of different magazines” and confirm with them if they’re coming to the event this upcoming weekend, and believe me when I say this, if she wants to get things done, she WILL get them done, whether they co-operate or NOT! 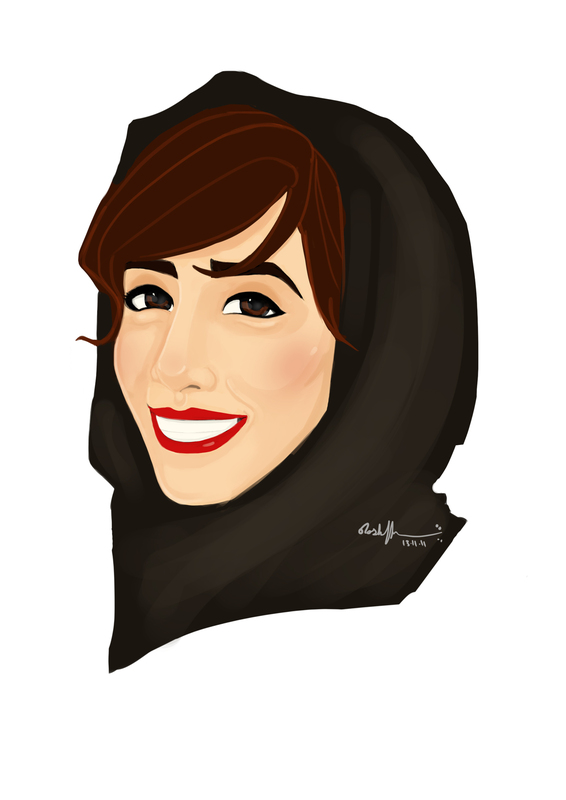 Salma Al Hussaini (Tycoon Rabbit): It’s like a race when Salma is around, she makes sure everything is done on time, and sometimes even before hand. You will see her sending out emails to various people, finishing member files, and having a salad all at once. Now you know why she got the title of Tycoon Rabbit. With Salma everything has to be perfect! The Rabbits: All of the team share many stuff in common, they all plan, coordinate, pour ideas on the table and make sure everything is going well. We are like a puzzle if one piece goes missing, there will be something wrong. With this team you should be ready to experience a lot of events, the kind that you have never experienced before. & who am I? 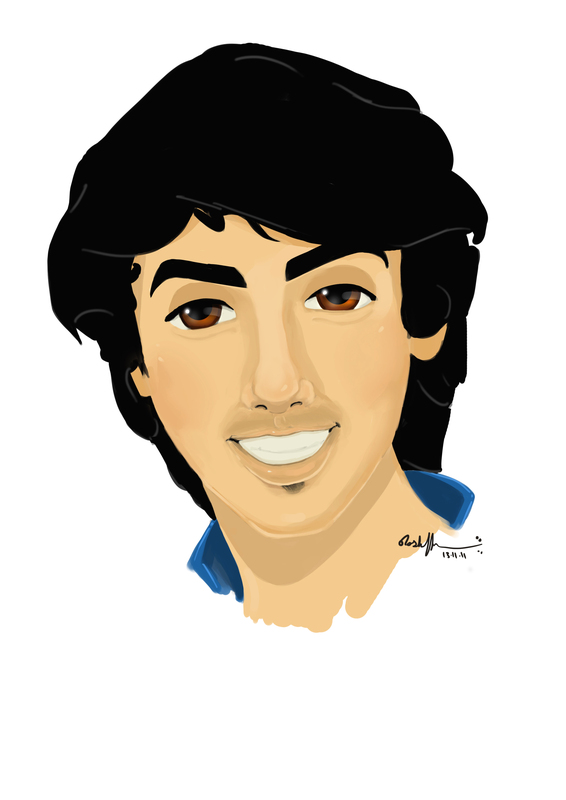 Well, I’m Mohammad Al Banna (Mr. Rabbit), I can’t talk about myself and tell you how I am in the team, because that would be my own opinion. However, what I truly love doing is planning events with the team, trying to bring the best events, activities, and ideas, for the Rabbit Hole fans out there. I’m also in charge of the financial issues and numbers of the company. Mainly I love working in Rabbit Hole, it’s a whole different experience, it truly gives you a chance to bring the best out of you! It all started by random ideas being yelled here and there in the meeting room, planning what we would want for our very own Zayed University students. Eventually, we finalized our plans and all agreed on what will be happening, that’s when it started escalating and in no time the dates were selected. 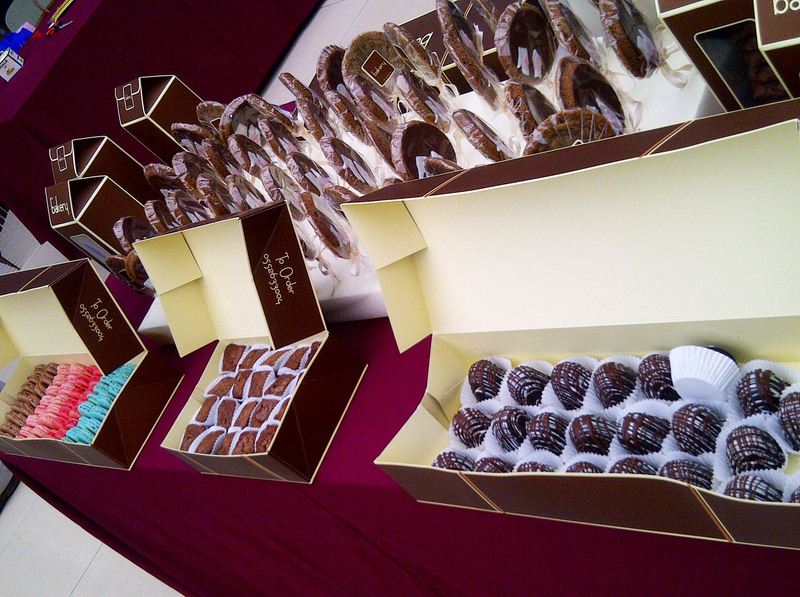 The Rabbit Hole Event: Zayed University Edition is what we decided to call it. 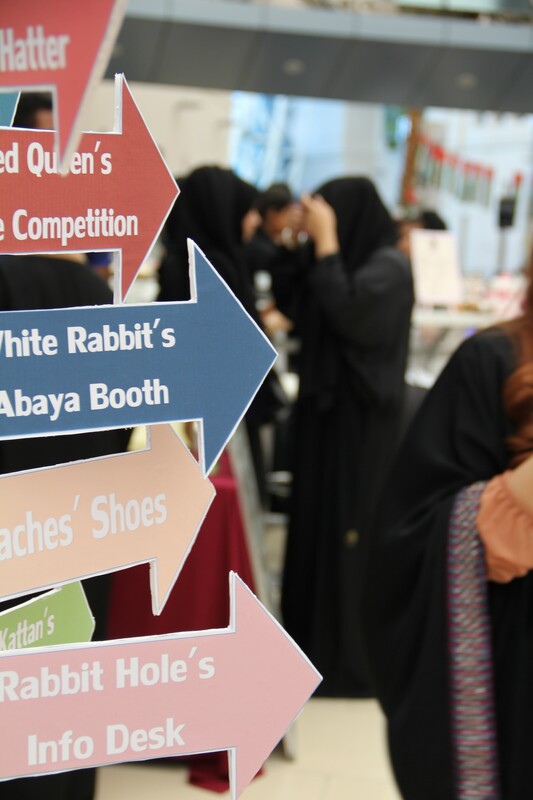 Hosting a series of activities, such as the competitions, Project Runway: Abaya Competition, which was brought to you by DAS; and Cinderella’s Missing Shoe competition. Then we had our Rabbit Hole stand, the Bakery, Tea Party, Photobooth, and FourCollections boutique. Honoring us with their presence, Hala Kazim, founder of Journey Through Change, and her son Anas Bukhash, founder of Ahdaaf, paid a visit to the Rabbit Hole series of mini events on the very first day to show their vast support. 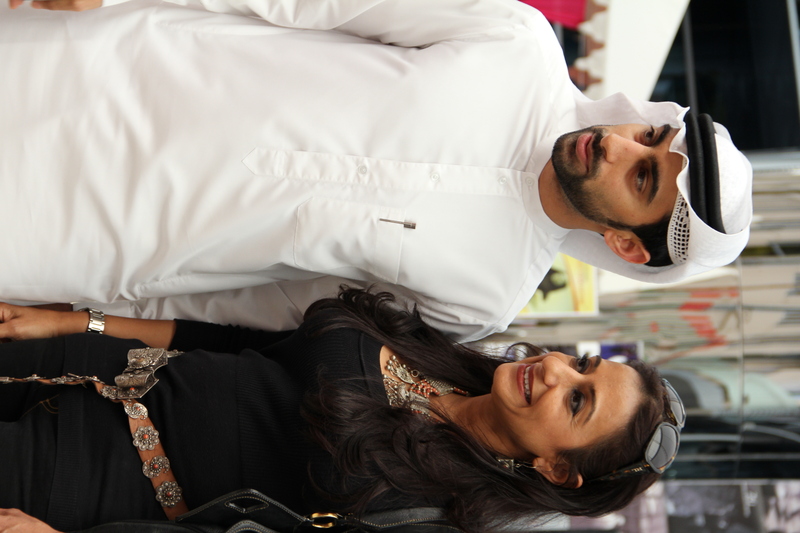 Founder of Rabbit Hole, Maitha Al Maktoum, escorted Hala and Anas around the event, explaining to them every booth. By the end of their visit, they signed our guestbook and gave a founder-to-founder advice. Hind Beljafla and her sister Reem supported us tremendously and no words can describe how thankful we are. Project Runway: Abaya Competition is brought to you by DAS Collection. DAS has been with us the moment we planned the event. They are the reason this all happened, which we are truly thankful for. They gave us seven signature abayas for the seven groups/contestants to work on. Stressed, pressured, and nervous was how most contestants felt. They all wanted to make their abaya the one that will grab the judges’ attention. 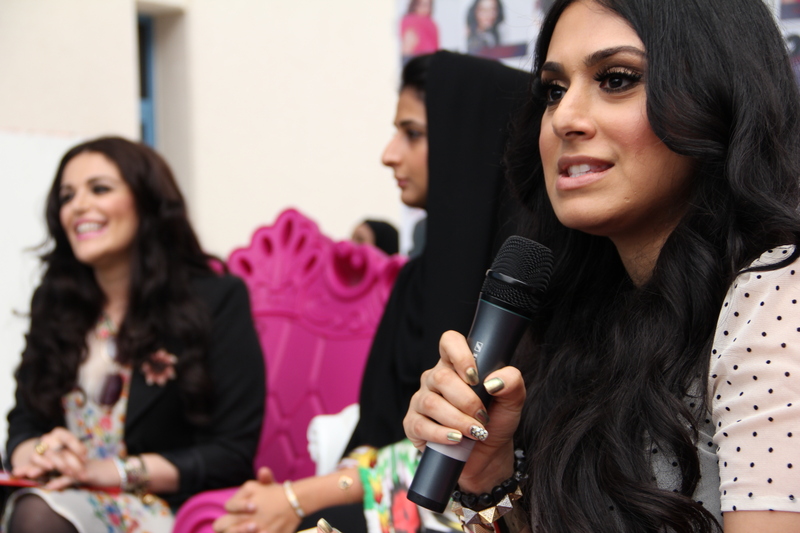 The judging panel consisted of Hind Beljafla, Huda Kattan and Mona Kattan. They judged the abaya based on concept, quality and design. In the end there was one winning team that got the chance for their abaya to be showcased in the DAS store, and also in the Rabbit Hole main event. They might also get their abaya made and sold in DAS! The winning team consisted of Reem Al Awadhi, Meera Al Awadhi and Danah Tayeb. Apart from the Abaya Competition, we also had Cinderella’s Missing Shoe competition, which got 100+ applications submitted at 12pm sharp on the 23rd. There was a panel of judges, Ilham Abbas founder of Elilhaam, Tamara Gabbani and Petra Albertini. They had to go through all the applications and select the top three. The three designs they chose were truly exceptional and their designs were unique. 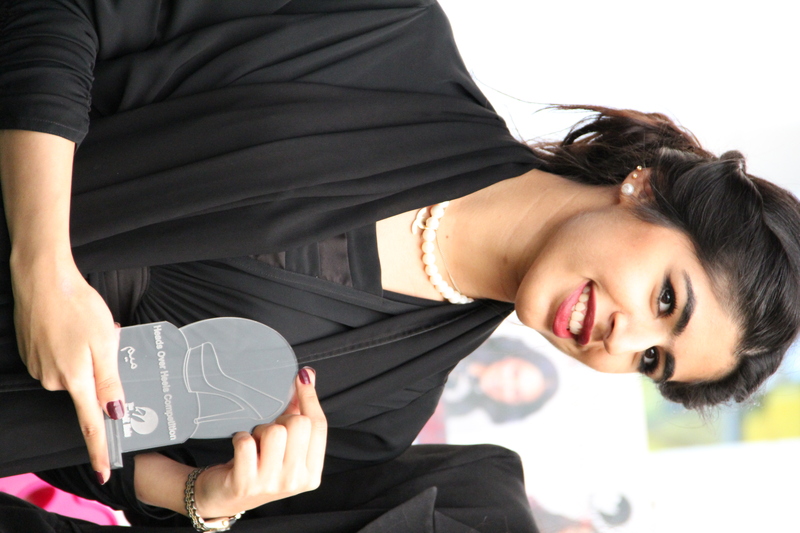 The first place winner, Fatima Sha’afar, got a chance for her shoe to be manufactured, showcased on http://www.elilhaam.com, and displayed in the Rabbit Hole main event. 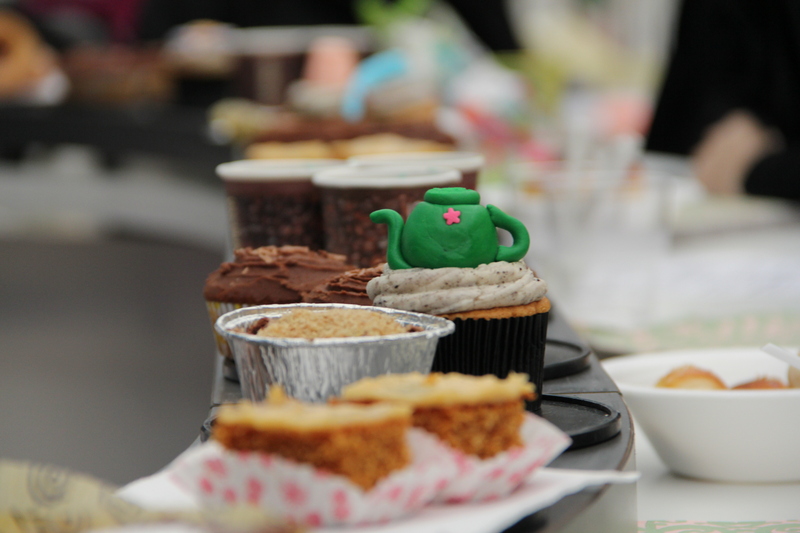 With lots of competitions and competitors stressing, there was the Rabbit Hole Bakery that had a wide range of sweets that was generously supplied from The Home Bakery’s owner, Hind AlMulla. 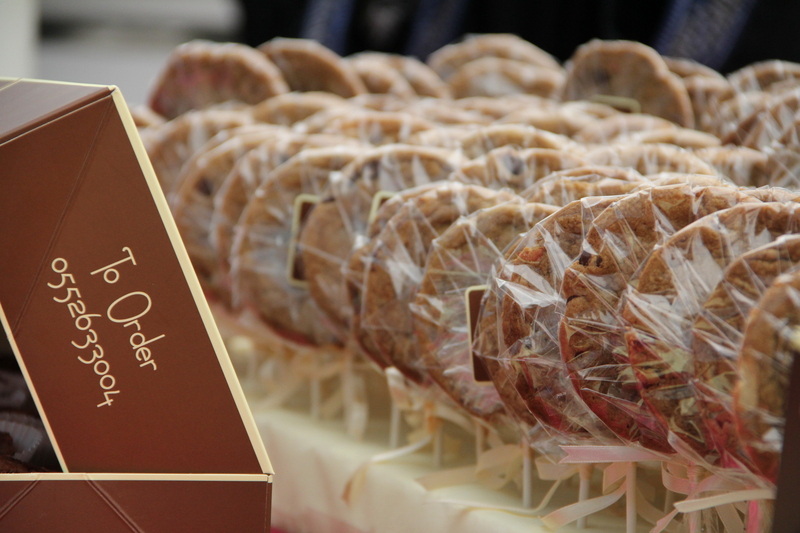 Yummy cookies, delicious macarons, and mouth-watering brownies were some of the deserts provided. 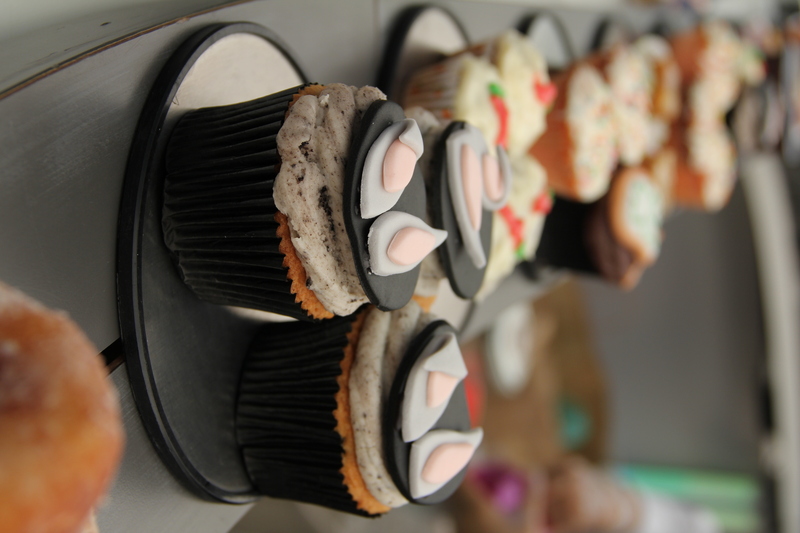 With lots of munching, designing, and eating, FourCollections boutique was there for the shopaholics. It is a brand that is found by the Rabbit Hole’s very own Maitha Belhabb and her team of three other girls; her collection for the event was truly exceptional and eye-catching. I personally think you should put a close eye on this upcoming brand! Huda Kattan, the celebrity makeup artist, had her own stand as well! Where she gave makeup tips to the girls and shared with them some of her makeup experience and secrets. Not to mention the Photobooth we had, where guests went with their friends to have their picture taken while enjoying the event. Photobooth UAE provided the photobooth. Adding to that, we had the Rabbit Hole stand to share information, in the stand we had the Wish Jar where visitors can make a wish, and two of the lucky ones would get there wish come to life! The last hours of the event was mainly students mingling with our guest judges and asking for their autograph, advice and professional tips. What we’re really happy and proud about was that the event went extremely well, and even better than expected. This happened due to all the support we got from DAS Collection and the judges (Hind Beljafla, Ilham Abbas, Huda Kattan, Mona Kattan, Tamara Gabbani and Petra Albertini). You might have also seen Saleh Al Braik (@FearlessInDubai) the founder of ThinkUp GCC, our official media partners, and Ali Murad (@AliAlosh), the artist who drew all the Rabbit Hole team, walking around the event and talking with some of the students. The non-stop meetings that took 2 hours and more, all paid off when we saw our visitors’ reaction. It made the entire Rabbit Hole team really proud and happy to get all those positive feedbacks! Last but not least, the whole Rabbit Hole family would love to thank each and every volunteer that helped us and worked as hard as they could. They were there all the time, supporting, helping and making the event move as smoothly as possible. Thank you to all the judges, guests and visitors who attended and supported us, you are the reason that keeps us going! It’s 1.30 am at this part of the world, and I am as excited as ever! It has been 15 hours and counting working on Rabbit Hole’s series of mini events held in Zayed University at the 22nd & 23rd of November, from 10am till 5pm. A lot is going on but the massive headache is blocking my train of thoughts. I’m chewing on my nails as we speak, shaking my right leg and my eyes are wandering around the room looking for anything to finalize only to realize that everything is set and ready to be displayed! Frankly talking, I cannot sleep. See y’all rabbits tomorrow! Fashion. In the United Arab Emirates… Around the Middle East… Across the globe… It is still called fashion. But then again, questions arise! Is it uniquely innovative? Is it significantly distinguished? Is it ingeniously original? Is it? Are you? Too much of a strong start? Keep reading. It came to our realization that every entrepreneur in Dubai is coming up with ideas and ways to showcase random talent of the youth in the United Arab Emirates. Days, weeks, months go by and those magnificent idea-makers come up with the same exact idea… We smell imitation! Innovation was gone as most of them were trying too hard and putting so much of an effort into something that has already been done over and over again. Innovation faded, creation crumbled & excitement perished! 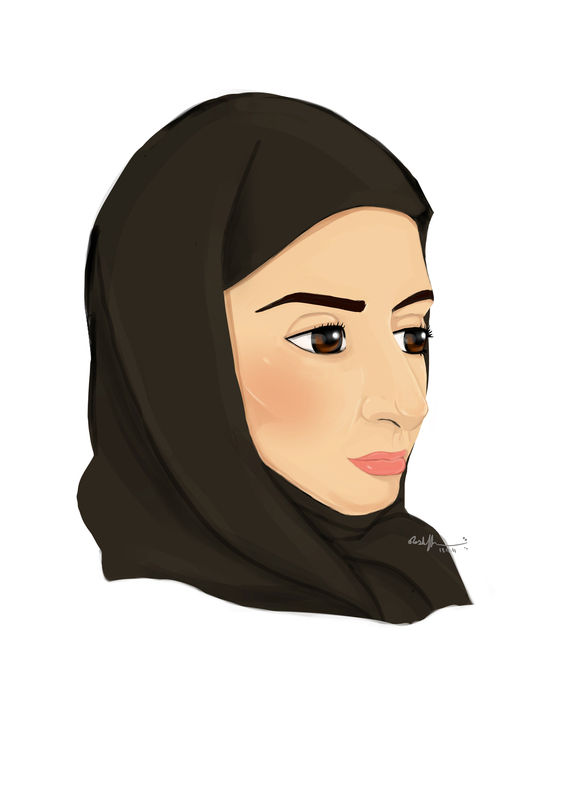 So tell me now, dear reader, have you heard of the fashion updates going on within the UAE? 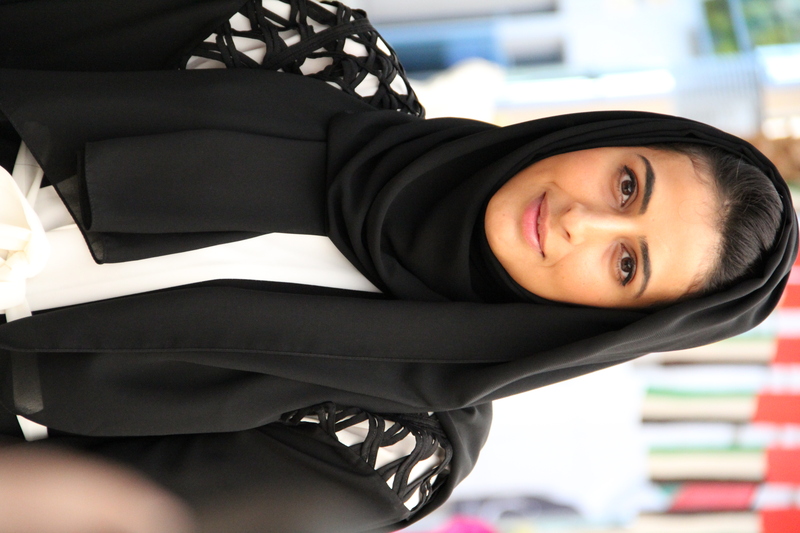 Fashion created by an Emirati? Innovated by a local? Manufactured by the very mind of a citizen? Have you heard of any thrilling local fashion articles? Any mind-stirring concepts? Maybe a crunchy fashion headline at least? No? My, oh my… Have you not? I don’t want to stall you much too long, so mind me representing the Rabbit Hole. We started small… An idea like any other, to be quiet honest. It evolved to basic fashion show, elevated to something a whole lot MORE. This initiative is all-willingly inspired by Alice In Wonderland, when lost Alice guided by Rabbit into the magnificently long hole, into the magical Wonderland. In the Rabbit Hole, YOU, my dear, is Alice, and Mama Rabbit, Mr. Rabbit, Baby Rabbit, Diva Rabbit, Social Rabbit, Tycoon Rabbit, Mysterious Rabbit, Artistic Rabbit, Goofy Rabbit and Dreamy Rabbit are your guide. We can’t share more details, as it is a secret for now… Hello Alice, and welcome to Wonderland!